I’m sorry, America, we’re stuck with the Zimmermans. They won’t go away. Rather than recoil from his status as the man who shot an unarmed 17-year-old, George Zimmerman is enjoying his celebrity, while Robert Zimmerman continues to collaborate with the right-wing media-entertainment complex to make his brother out to be the real victim in Sanford, Fla. last year – the victim, first, of “thuggish” Trayvon Martin, and then of civil rights leaders like Rev. Jesse Jackson and Al Sharpton, as well as Martin’s parents. 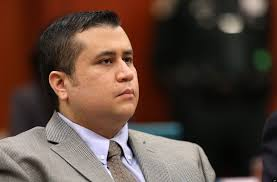 Read More Go away, George Zimmerman! – Salon.com. This entry was posted in News from the Soul Brother and tagged Al Sharpton, Florida, George Zimmerman, Jesse Jackson, Kel-Tec, Trayvon Martin. Bookmark the permalink.